Bilingual French/English resource I created for my sub binder for students to research details of the Canadian provinces and territories. Students look for the names of each province and territory as well as their respective official trees, birds, and flowers. 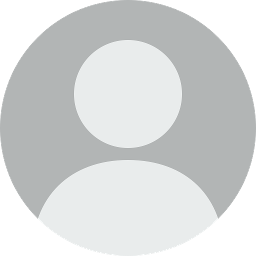 Bilingual French/English resource I created for my sub binder as a no prep activity where students refine their web searching skills by using flag descriptors to discover which country each flag belongs to. This activity should be printed in color but if not possible at your school I have a color version printed to use under the document viewer and students receive black and white copies. 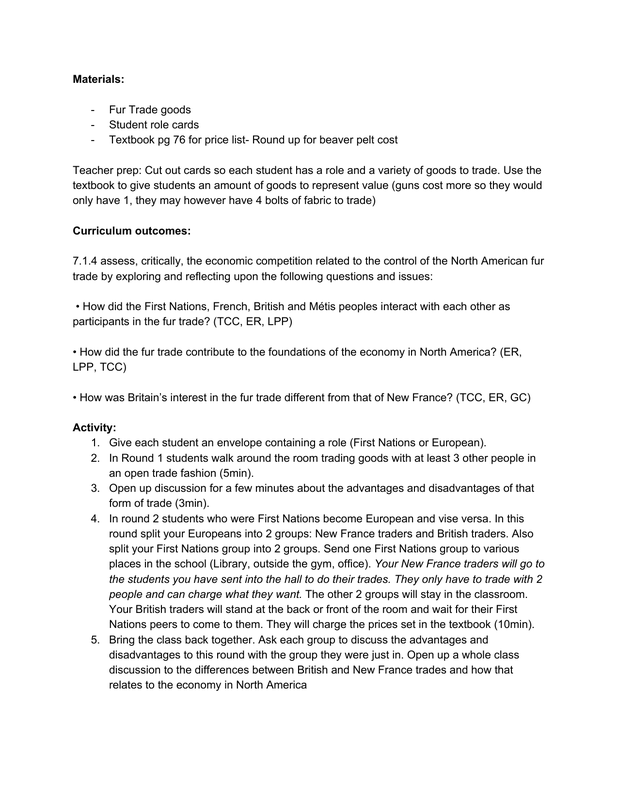 Grade 7 Social Studies Activity where students take on the roles of different participants in Canadian trade history. 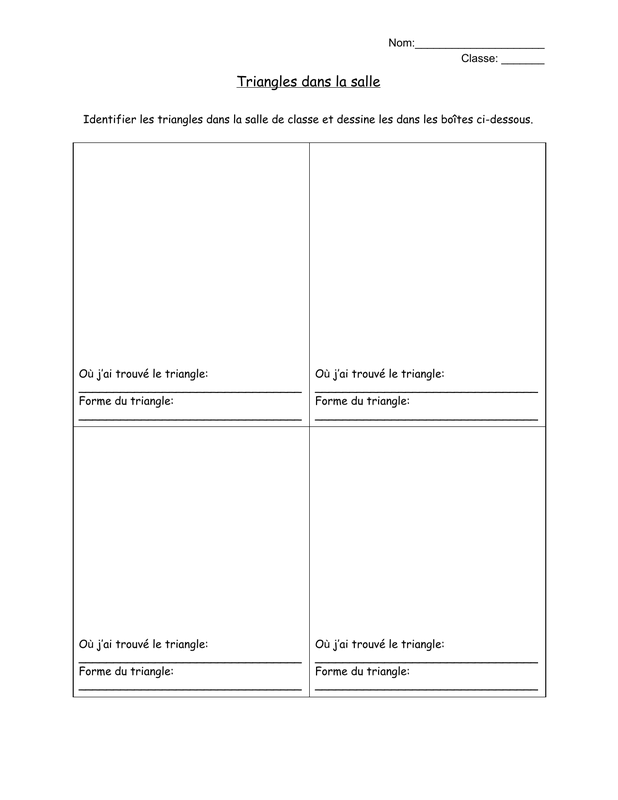 Graphic organizer activity for students to find and identify triangles found in the classroom.